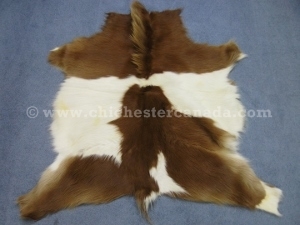 These are first-grade quality Icelandic horse hides. They are smaller than regular horse hides (sometimes "pony-sized"), soft to the touch, and make excellent floor pieces. Genus and species: Equus ferus caballus. Ranch raised. Icelandic horses are not endangered and are not subject to CITES controls.